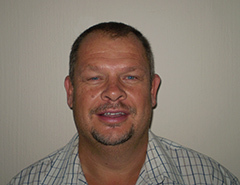 Mark Palmer of the Electrical Approved Inspection Authority Southern Africa (EAIASA) assumes the unenviable role of ‘bad cop’ as he assists the public and the industry by investigating non-compliant installations. In view of his extensive experience in the electrical industry over many years, his columns offer advice to electricians and electrical contractors – what to do and what not to do. Mark, too, is concerned about the electrical industry and especially Certificates of Compliance, which are his speciality. His columns are frank and forthright with no punches pulled. Mark Palmer’s column will be back in February.